Coaching recognises that you are not limited by your past; it is often only your mind that is getting in the way. Learning to listen to, honour and act upon your own innate wisdom, your intuitive voice, is part of the coaching process. This valuable 13-week program will allow you to gain clarity and focus in on the amazing results that ARE possible for you and your life. I will energetically be holding space for you and your transformation, as well as guiding and empowering you, as you take inspired forward action in creating the life you have always dreamed of. 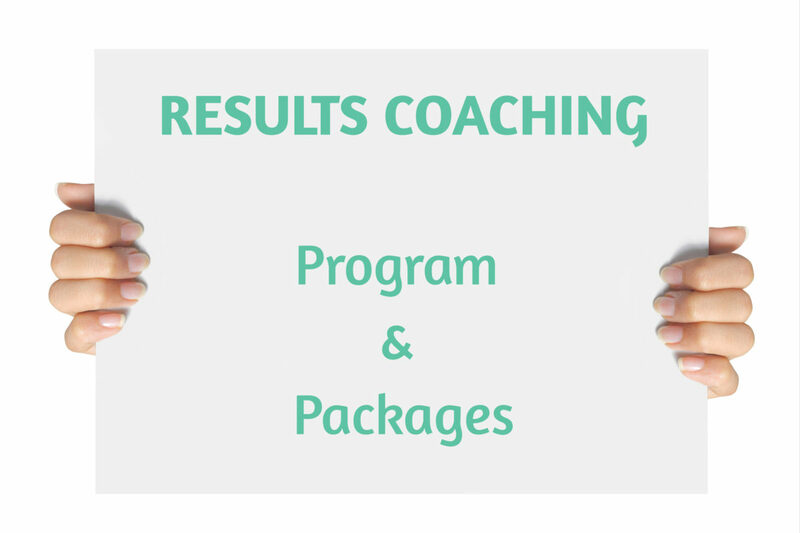 If you’re not yet clear on what you want, know it DEFINITELY needs to be different from your current way of life but don’t know how to get there, then results coaching is also for you! STRENGTHENING self-belief and trust in who you really are, as you take guided action and realise your full potential. Full coaching program. (Value: $1,430). It would be a privilege to support you on your path to wellness. The past 5+ years I have been on an intense healing journey after being diagnosed with 2 separate health conditions in early 2013 (Premature Ovarian Failure and Auto-immune Hypothyroidism/ Hashimoto’s). With symptoms and indications of four more (coeliac disease, adrenal fatigue, anxiety and insomnia) I refused to accept low energy levels, sleep deprivation and brain fog as a way of life, so was highly motivated to uncover the answers that would turn my health and wellness around. I had to dig deep, draw on my inner reserves, and step out of my comfort zone on numerous occasions (in fact this doesn’t end!) BUT I have never felt better, or stronger! And now, I want the same for YOU! Learnt (somewhat reluctantly at first) to honour health and wellness as my number ONE priority. And of course to follow – and cherish – my heart and my intuition/ inner voice. I PERSONALLY understand how frustrating a health diagnosis can be and how tough it can be to get answers and non-judgemental/ compassionate, holistic support. Friends and family (unless they have tackled health issues head on themselves) often fail to understand the effect and challenges that dis-ease can have across all aspects of life. You are whole and complete. Radiance of health and spirit CAN be yours; the first step is believing it to be true. The time is now and with my expert guidance and support you will be empowered to achieve YOUR destiny. Remember the universe ALWAYS rewards action, sometimes in mysterious, perfectly imperfect ways, if only we can remain open and trust.